The Lone Wolf part began about 2 years into my teaching career at a small public school in Dunedin, New Zealand. I became actively inspired and interested in using technology to support learning. I started leading change and realised that there was more to what I was doing. I had previously thought that social media was a fad and it was for personal use only, I didn’t want to get caught up in the mess that it could bring to my professional career. How wrong was I? 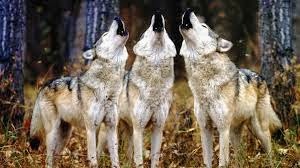 Once I realised there was a ‘pack’ of hungry educators out there willing to connect and learn with me I was hooked. Connecting and growing with others in order to grow collective wisdom was the point I was missing. Establishing a strong PLN (Professional Learning Network), not only on twitter, but Face to Face, on LinkedIn, Google+, Pinterest and through attending conferences and events was the first step on my journey. Funnily enough, the connections I made and the opportunities I had from establishing a small network was incredible and got me invigorated to continue the journey. I shared what I was doing and engaged myself in discussions with other like-minded educators I found along the way. Not only was I growing as an educator but opportunities were opening up for me as I networked my way around the world. Connecting and collaborating is what I do in the classroom, so why not match that in my professional world outside of the classroom. In order to offer up the best possible learning experiences for my students in the 21st century world that we live in, I have to be connected with the very best in the business I didn’t think it was possible, but how wrong was I – it is simpler than you think! I look forward to hearing about your stories. My challenge to you is, share your journey, like I have shared mine. If you haven’t started your journey yet, invite me and your PLN to enjoy the journey and support you along the way. We are all in this together! The aim of the game is to make ourselves the best possible educators, who offer the best possible learning experiences for our students. Thanks Craig, what a great post! I will link this to my session too, as it adds another layer to the story. I often reflect on my own journey and I owe so much to everyone I come into contact with in my varying roles. It really is great fun to hunt with a pack and grow and learn together. Thanks for taking the time to share your story. Catch up f2f real soon. A privilege to have been the other person to get you onto twitter Craig. I remember the E-Teach meetings and people wondering why I would do it. I loved it when Anne clicked to the who and they why and planned the infamous twitter tour from there! Thanks for commenting Anne and Claire – the amazing two ladies who got me started on twitter and helped me join the ‘pack’. David Truss also wrote about the Lone Wolf in his unplugged letter. Have you read it? Onto it now – David is a legend! wolf pack values, as depicted in the Jungle Book by Kipling, englobe solidarity, reliability, loyalty & interdependence and the analogy is beautiful and very relevant. This networking among educators is empowering and tremendously enriching! Thank you Craig very well said!